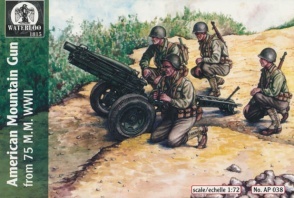 038World War II American 75mm Mountain Gun. Released 2011. 12 unpainted plastic figures AND 3 GUNS. 4 different Poses. Material Plastic.